Prince Mohammed bin Salman says reports WH adviser and son-in-law of US president provided him names of people arrested in Saudi Arabia. 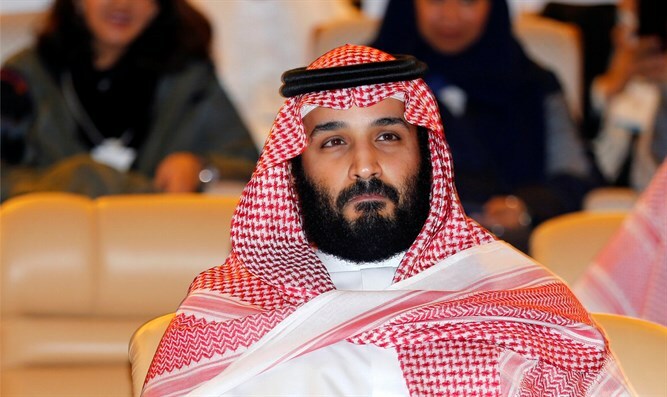 JTA - Saudi Crown Prince Mohammed bin Salman denied reports that he claimed he has White House adviser Jared Kushner “in his pocket,” during a meeting with Washington Post editors and reporters. He met on Tuesday with President Donald Trump, who is Kushner’s father in law. He also met during his visit to Washington with Kushner and Jason Greenblatt to discuss the Trump administration’s peace plan for Israel and the Palestinian Authority, which has not yet been announced. The White House will need Saudi Arabia and other Arab states to help persuade the PA to accept the plan.